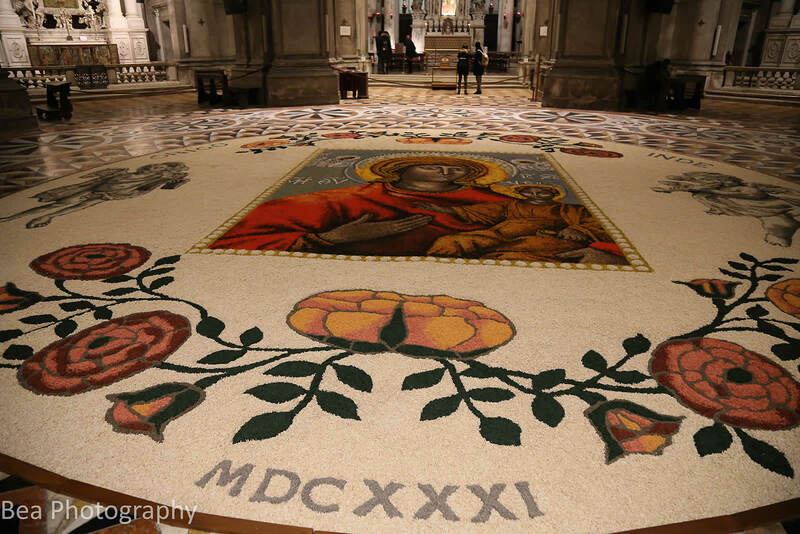 We admire the artists of Trucciolinarte as they realize the wonderful VENETIAN INFIORATA inside the Madonna della Salute Cathedral in Dorsoduro. Nearly 100 mq of Artwork, ideally realized as an ex-vote by the winners of the Effimere Arts Festival that took place at the Vatican three years ago. Visit to the Opera by Renata Capriz inspired by the Neapolitan Nativity Scene of the 18th century. Holy Mass and benediction.